Peter Gregorio has an extensive background in Recruiting, Training/ Organizational Development. He has worked in structured organizations that required the enhancement and execution of published business models; as well as with companies with minimal or failing business plans. His specialties are Recruiting, Training, Executive Coaching and Leadership Development. Peter is also experienced in diversity relations, having worked for an international firm whose senior management is either Japanese or European. Among Peter’s experiences, he has worked to build training programs for entry level sales positions and written manuals for managers that cover the fundamentals of leadership, training and organization. He has worked to rebuild bankrupt businesses to where they became functional enough to be sold or merged into other organizations. This experience included labor relation negotiations with organized labor. 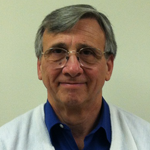 Peter brings a considerable amount of experience to Career Services USA. He has had a successful career in sales management, training and recruiting. His career has taken him from a Sales Executive to a Corporate Trainer, Corporate Recruiter and President of a $250,000,000.00 consumer packaged good distributor. Peter holds a BA Degree from Rutgers University in Social Studies with an emphasis in East Asian History and a minor emphasis in Science. He completed a Certificate Program from the National Society of Sales Training Executives and has trained in Geneva on communicating with diverse cultures.